Sarovar Hotels has signed an agreement for a 60-room hotel, Presidium Sarovar Portico, in Dalhousie, Himachal Pradesh and it is expected to be operational by the end of 2018. Presidium Sarovar Portico Dalhousie is Sarovar Groups’s third hotel in the state of Himachal Pradesh. The other two hotels are located in Mashobra and Palampur. The hotel will offer all modern facilities including an all-day dining restaurant, bar, gym, swimming pool, spa and banquet facilities. Commenting on the development, Ajay K. Bakaya, Executive Director, Sarovar Hotels, said, “We are happy to open a Sarovar Portico hotel in this charming town of Himachal Pradesh. With its unparalleled scenic beauty, Dalhousie is an important tourism destination with rising number of visitors from across the country. It is an important location for us and a significant addition to our portfolio. This hotel equipped with all amenities required by a modern day traveller is set to be the finest in the region.” The property is owned by Vikram Seth of Holy Heart Presidency School Amritsar. Hilton Worldwide Holdings, HNA Group and Blackstone has announced that HNA will acquire an approximate 25 per cent equity interest in Hilton from affiliates of Blackstone, establishing a long-term strategic investment in Hilton and Hilton’s planned spin-offs of Park Hotels & Resorts (Park) and Hilton Grand Vacations (HGV). The transaction is valued at approximately $6.5 billion, or $26.25 per share in cash, reducing Blackstone’s interest in Hilton to approximately 21 per cent. The transaction is expected to close in the first quarter of 2017. 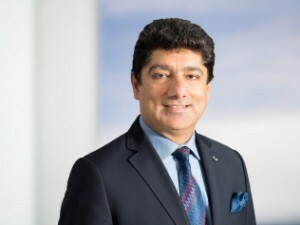 Following Hilton’s previously announced spin-offs of Park and HGV, which are expected to occur on or about the end of the year, HNA will own approximately 25 per cent of all three companies. After strategic tie-ups with four state tourism departments across India for joint promotion of homestays, Stayzilla the largest homestay aggregator now gets on board with Chhattisgarh Tourism Board (CTB) to promote and launch more homestays in the region. The MoU was signed and exchanged in the presence of Chief Minister of Chhattisgarh, Dr. Raman Singh, M.T. 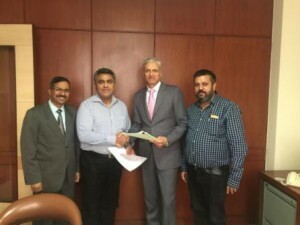 Nandi – IFS – Managing Director – Chhattisgarh Tourism Board, Shreerang Pathak – Deputy General Manager – Chhattisgarh Tourism Board, Dilip Acharya – Head Operations Section – Chhattisgarh Tourism Board and Ankit Rastogi, VP Marketplace, Stayzilla.com. Under this agreement, Stayzilla will support verification procedures, jointly boost homestays in cities & places of interest within Chhattisgarh. All homestays registered within the state will receive technical support in the form of inventory management and software applications to ensure seamless booking procedures. 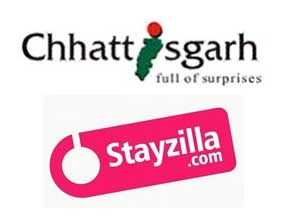 Stayzilla & Chhattisgarh Tourism Board (CTB) will also jointly conduct educational and training sessions for Chhattisgarh registered homestays on best practices such as online usage, content management, operations and expense management. Hotelbeds has announced a strategic partnership with AccorHotels that aims to double sales for the hotel through the bedbank over the next two years. Carlos Muñoz, managing director Hotelbeds – Bedbank, said, “We are very excited and pleased to confirm that we have taken our longstanding relationship with AccorHotels to the next level with this strategic partnership. This summer´s trial resulted in the best ever booking results we´ve seen for the hotel. Based upon this we are already working together on a plan to double the amount of bookings that AccorHotels receives through Hotelbeds within the next two years.” As a result of this new agreement – reached earlier in the year and trialed over the summer months – Hotelbeds has recently registered its best ever bookings results from the hotel chain. 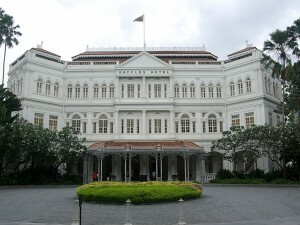 Hotelbeds is a long-standing B2B partner of AccorHotels that embraces its dynamic rates through outstanding XML connectivity. General Hotel Management (GHM) has joined hands with Rajesh LifeSpaces, Mumbai-based real estate company, to bring The Chedi brand to the hospitality market in India. Hans R. Jenni, Director and President, GHM, expressed his optimism for the project, “We have always wanted to plant a GHM flag in India and being able to establish The Chedi brand in the thriving city of Mumbai is an honour as well as a challenging opportunity my team and I are eager to face.” The Chedi Mumbai is situated in close proximity to the Powai region, an area where infrastructure developments, connectivity and social groundwork have laid the foundation for the growth of a diverse expatriate community. It is also an increasingly favoured residential precinct among the locals and the burgeoning district is becoming an enclave for the who’s who in society. 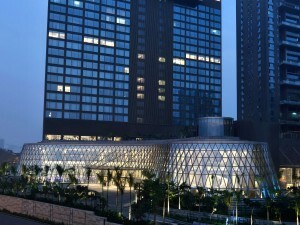 The strategic location of this iconic hotel is also not far from Bandra Kurla Complex: this ambitious development is set to be an emerging hub for work and leisure outside of South Mumbai and will house a new convention and exhibition centre, an art auditorium, cultural plaza, residences and offices. These, coupled with the fact that The Chedi Mumbai is close to both the domestic and international airports, and is supported by a comprehensive network of highways and roads, assure travellers of the ease of commuting and roadway connectivity between the northern and southern parts of the city. When viewed from these various perspectives, The Chedi Mumbai is truly a testament to the owner’s vision for it to become a destination in and of itself, the epicentre of this metropolitan city. Lemon Tree Hotels has announced the opening of two new hotels – the Lemon Tree Hotel, Candolim in Goa and the Lemon Tree Wildlife Resort, Bandhavgarh in Madhya Pradesh. The Lemon Tree Hotel Candolim is the group’s second property in Goa. The hotel offers 34 rooms, with base category rooms measuring around 27 square meters. It also features an all-day dining restaurant, a terrace-top bar, a rooftop swimming pool and a conference room of approximately 800 square feet. The Lemon Tree Wildlife Resort, Bandhavgarh is located in close proximity to Tala Gate, the most tiger inhabited zone of the Bandhavgarh National Park, and marks the group’s entry into the wildlife resort segment. Spread over five acres, the hotel features 11 cottages measuring approximately 34 square meters, an all-day dining restaurant, a swimming pool and a 480-square-foot conference hall.